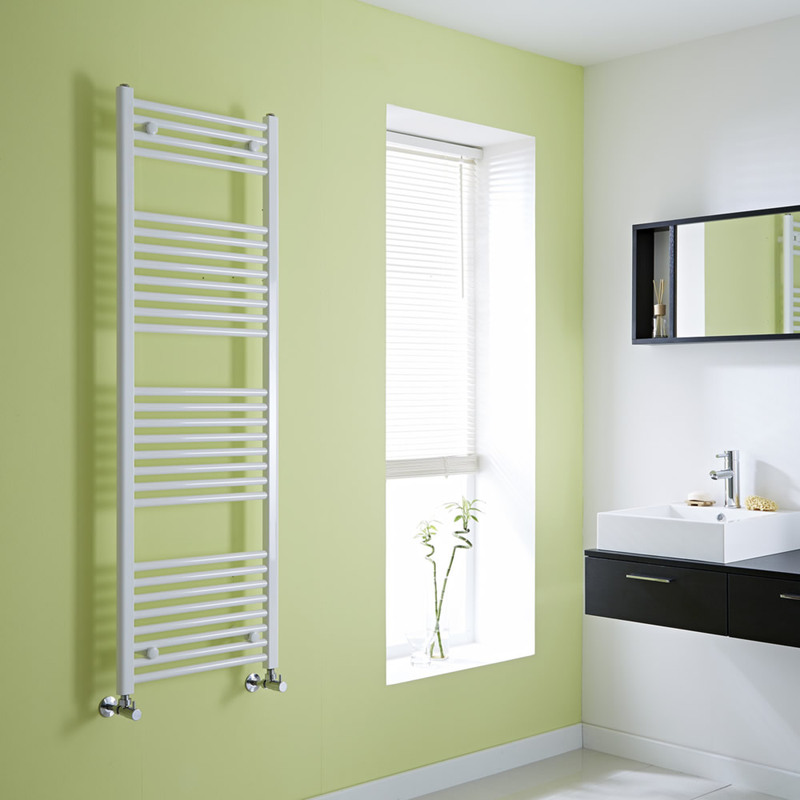 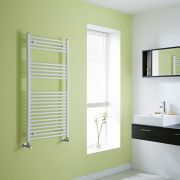 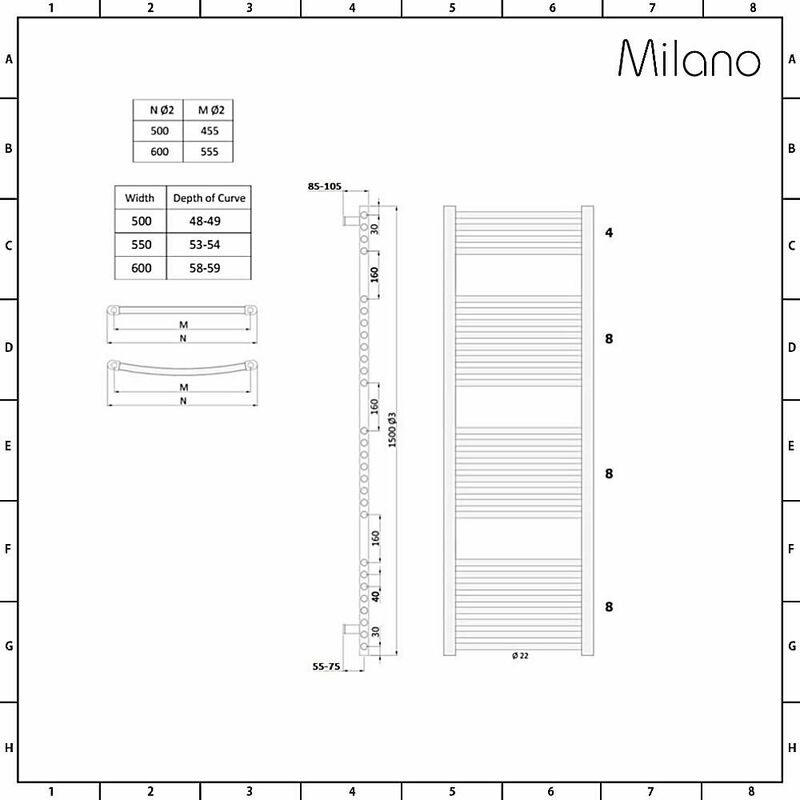 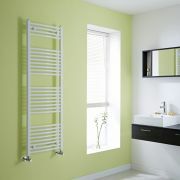 The Milano Calder flat white heated towel rail is a stylish way to bring warmth to your bathroom and gives you irresistibly warm towels too. 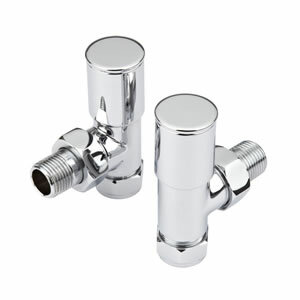 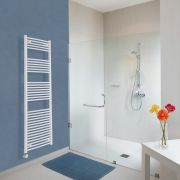 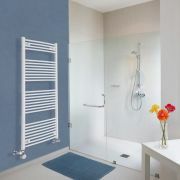 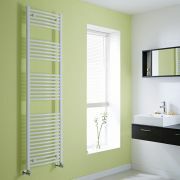 This model measures 1500mm x 500mm, with plenty of room even for large towels. 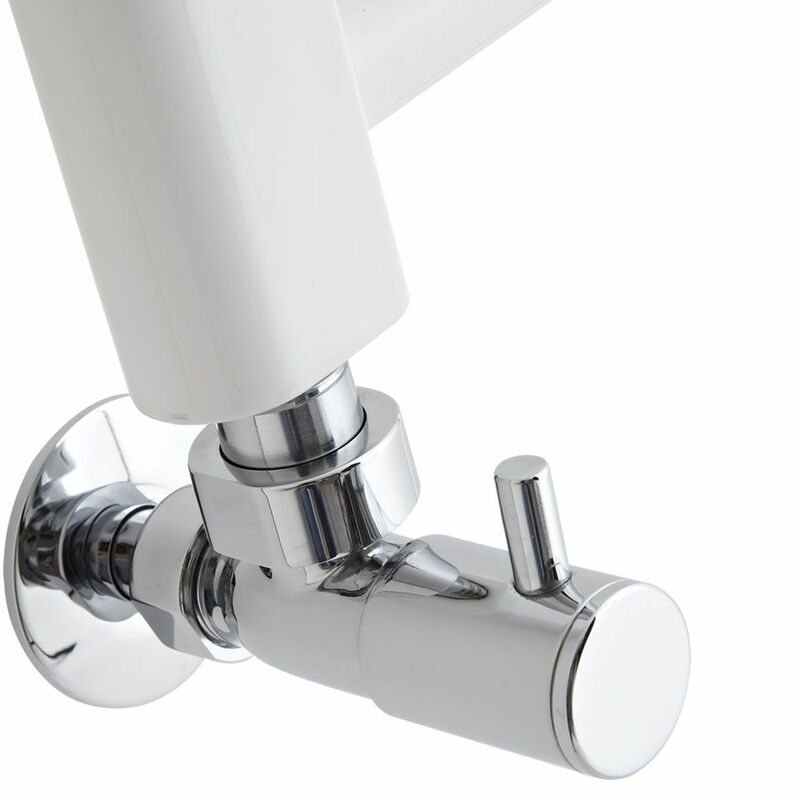 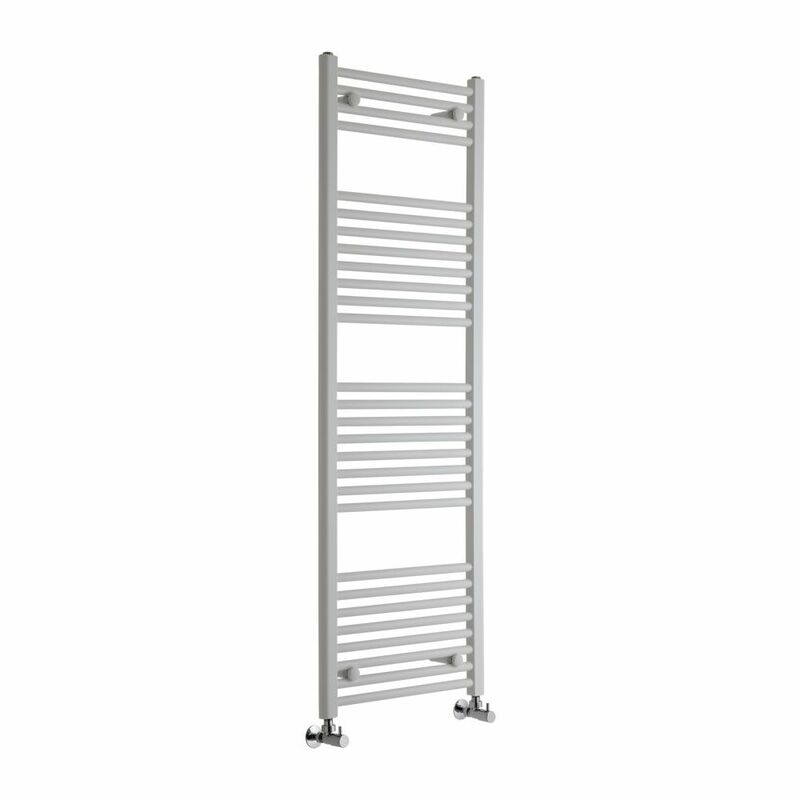 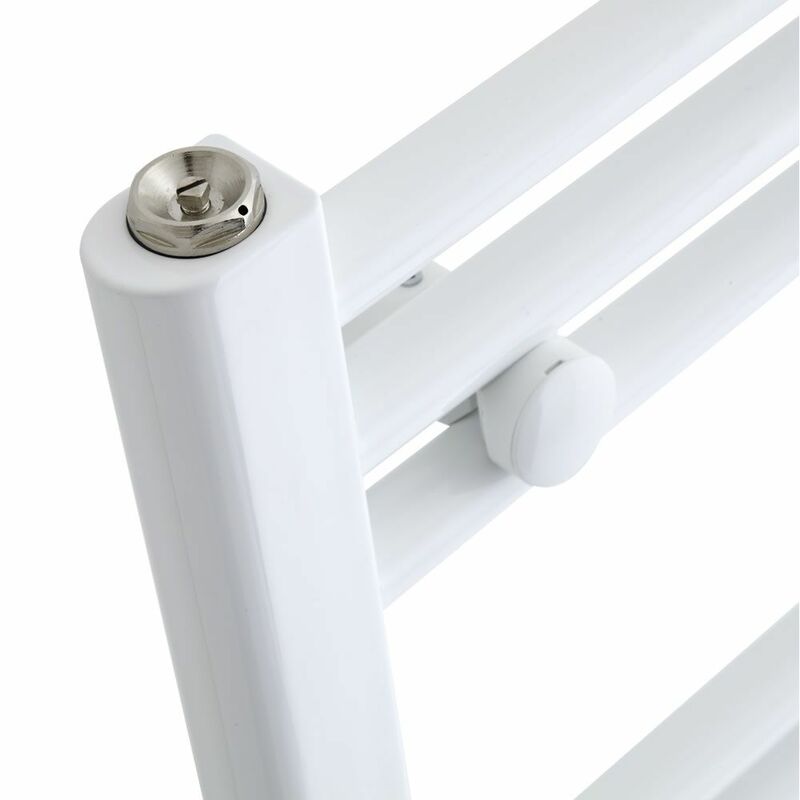 It has a pleasant ladder design enhanced by a white finish which makes it a versatile heating choice for any bathroom or en suite. 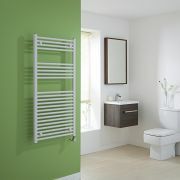 The hourly heat output of this radiator is a fantastic 3,089 BTUs, which will quickly and thoroughly heat towels through.